The sun came out for us this afternoon while we are on holiday in North Wales and we walked from Harlech to Llandanwg. 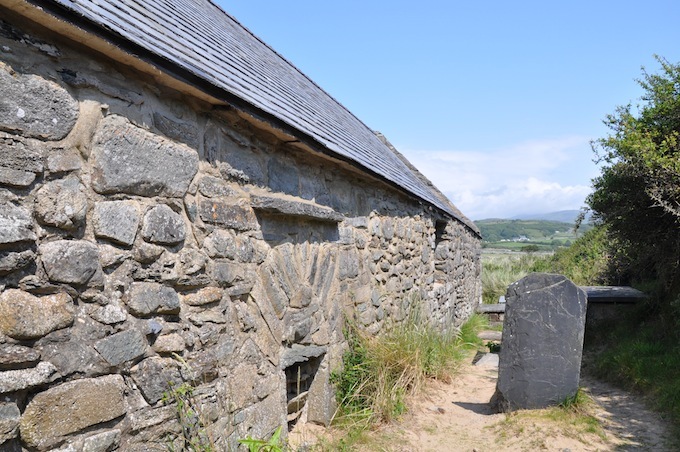 We did this beautiful walk along the beach with Harlech Castle in the background most of the way, we then climbed a hill and dropped down into Llandanwg to look for a very special church. 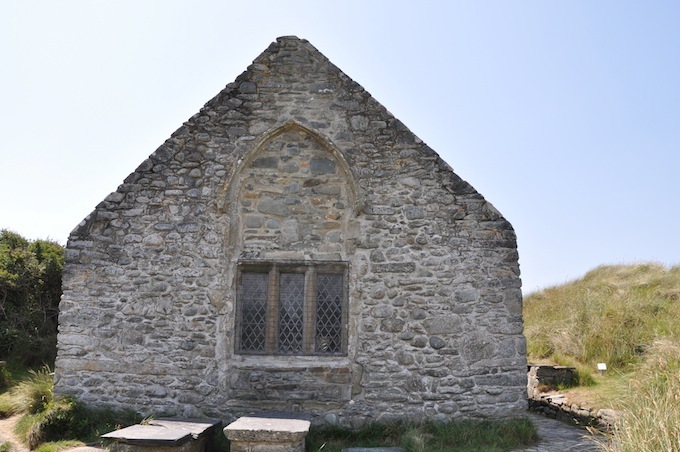 We had visited St Tanwg’s Church in the hill top town of Harlech the day before and found that the font had come from this little church on the beach, so we just had to explore and find it. What a little treasure we found, but still we had no idea what we would find when we went through that door. I even got the other half to come into this one. 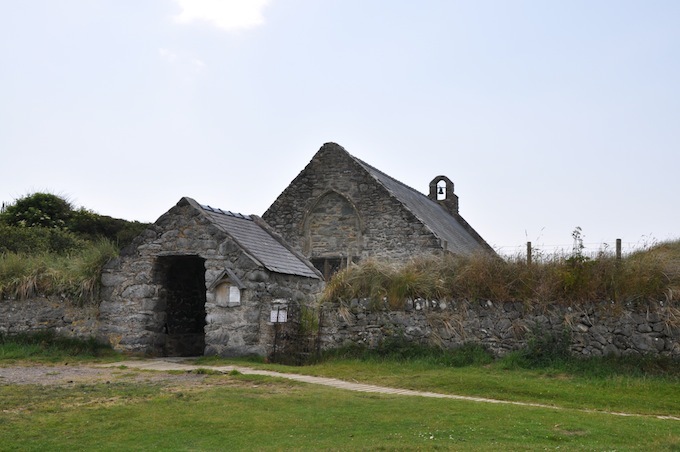 This ancient church is dedicated to St Tanwg who may have founded it in the 5th century as legend would have it. 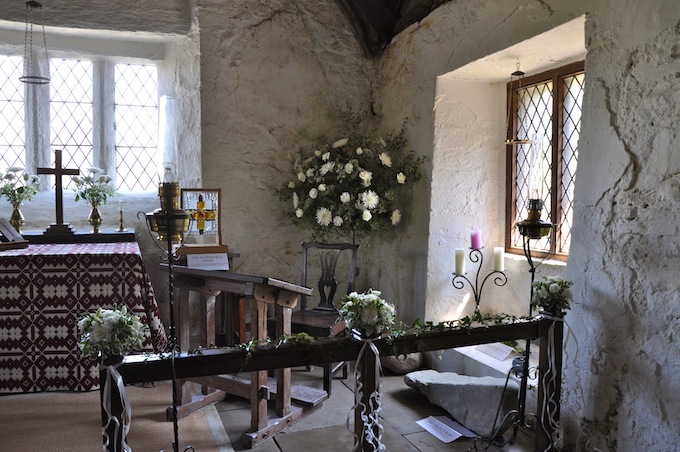 In the little guide book it says that St Tanwg is one of the oldest Christian foundations in Britain and perhaps the oldest with a continuous Christian history. The original church on this site was much smaller than the present building and most likely built from stones carried up from the beach, the remains may be under the present flooring. The present building was started in the Middle Ages and the walls may have been decorated with designs in green and red with texts in black lettering. 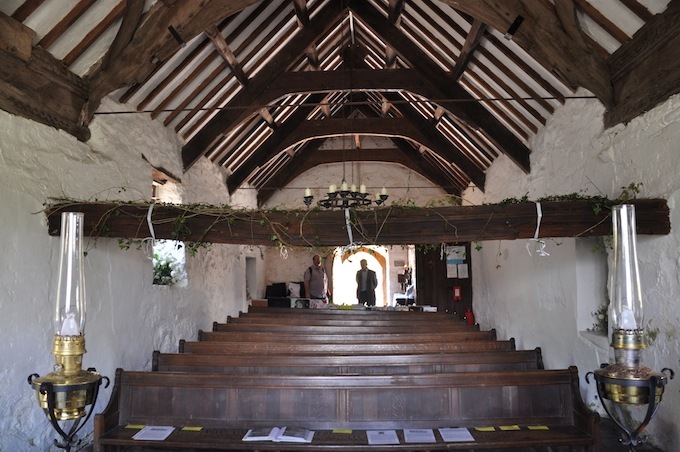 An arched canopy of oak panels depicting apostles and the devil would have been fixed to the trusses above the alter. 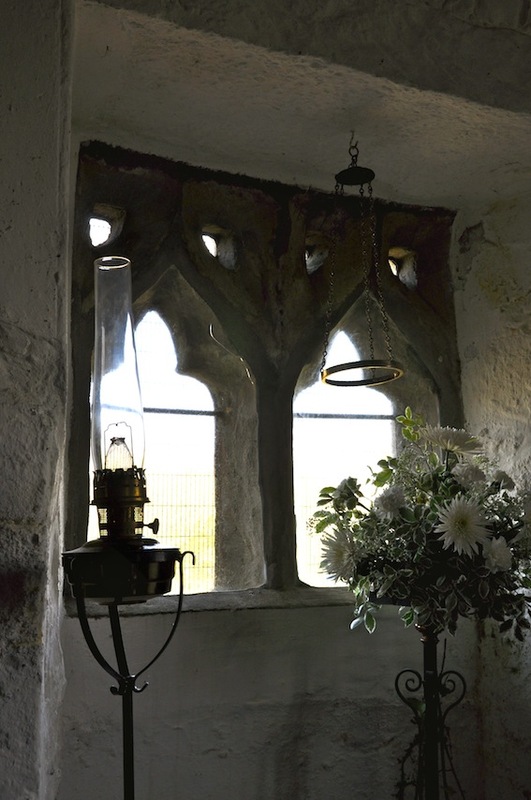 The windows were glazed with coloured glass, the whole church would have been filled with light and colour. 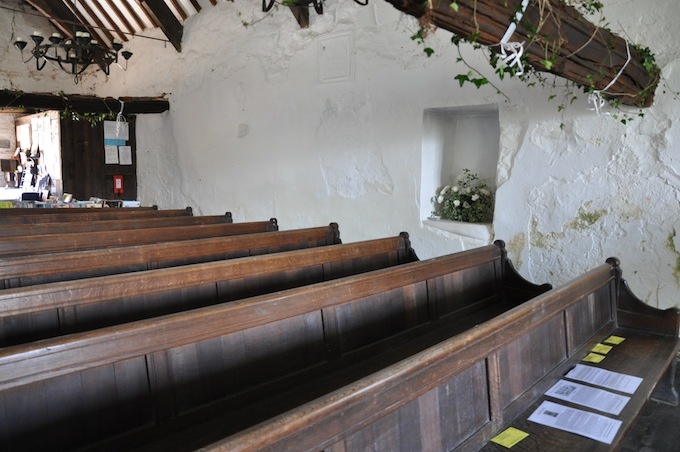 As the years passed by the church fell into decline when the new church in Harlech was built in 1839, the font and bells were removed to the new church. By 1845 the church was only used for burials and by 1878 the early Mediaeval roof at the west end crashed down into the nave carrying most of the gallery with it. The church was full of sand, briars and fisherman dried their nets on the altar rails. In 1884, as a result of a public outcry the roof was going to be replaced but this did not happen until after 1890, more work was carried out before and after World War 2. The above photo is on display inside the church, the chairs have been replaced by the pews you see in my photos, these came from a church which had been closed. 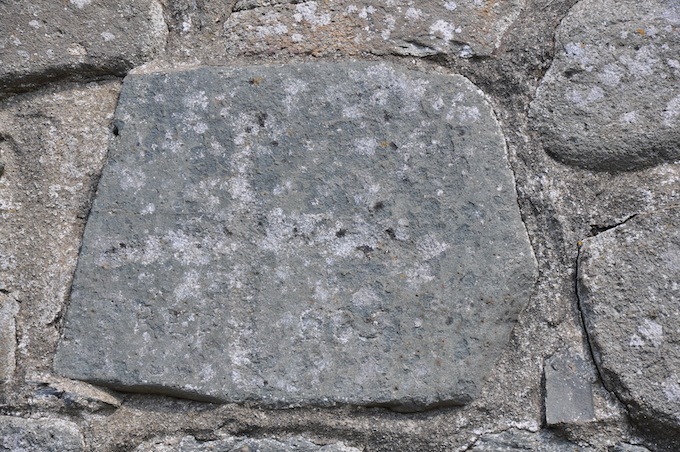 This stone, discovered in 2008 during some access work, is thought to have been the focal point in the churchyard and dates from around the 9th century. The church has services now throughout the year and there are numerous weddings carried out, in fact the church was decorated for one on Saturday and it did look beautiful. 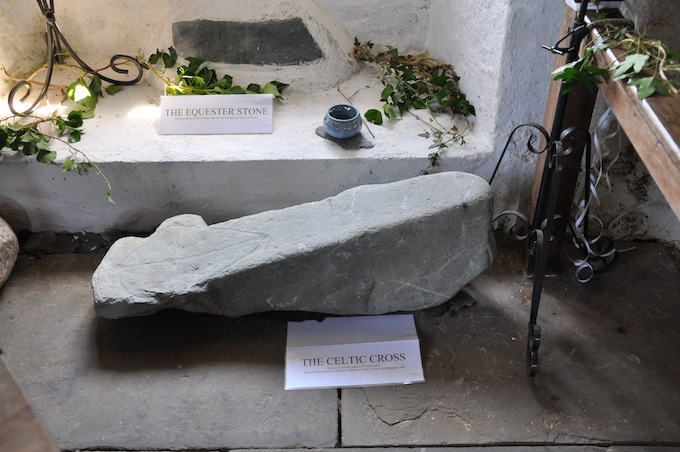 Part of a gravestone is built into the west gable and to the right of the doorway it bears a crudely picked out cross which dates it between 7th and 9th centuries. The initials REP and 1685 have been added in to the top corner probably recording the mason and date when the doorway was put in. 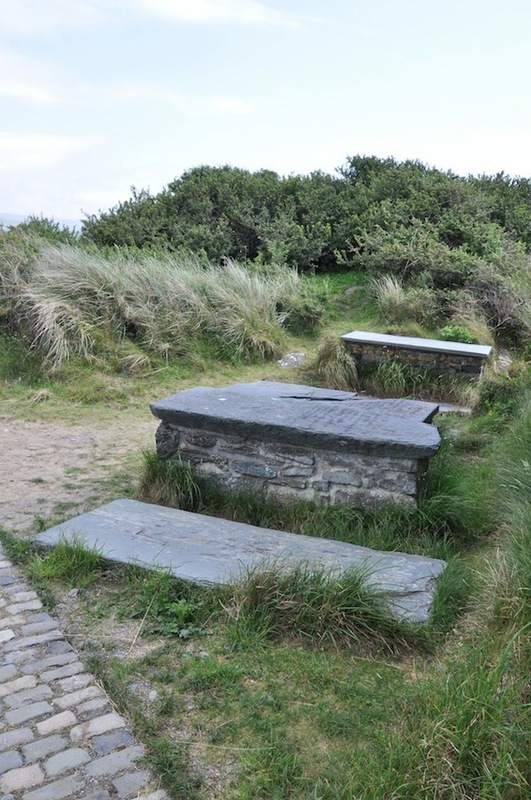 The middle tomb on the photo below is of Sion Philips a famous Welsh poet alive at the same time as Shakespeare. Well I think it was worth the walk and also there is a lovely little cafe that had the most wonderful carrot cake. We did cheat though as we caught the train back to Harlech. Tomorrow we are going on the West Highland Railway and hopefully we will be able to take some photos of Caernarfon Castle. 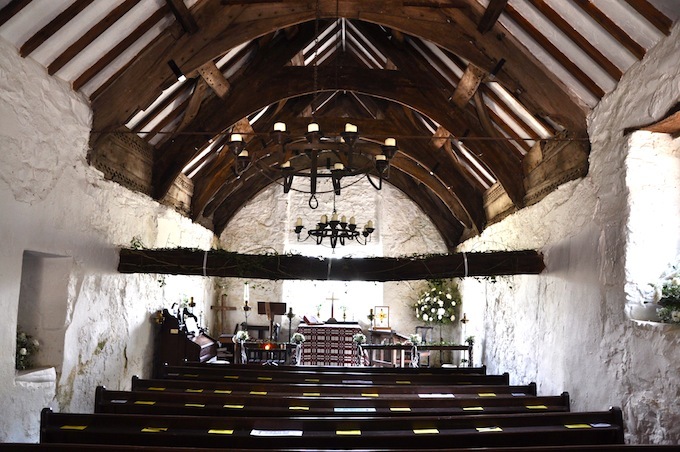 Beautiful old church; thanks for the pics. What an amazing place – I love the carved windows. Wonderful informative post and very evocative , beautiful photographs! Thank you again for sharing your travels and discoveries. What a wonderful, wonderful place, made even more beautiful by the floral decorations! Such a beautiful church to get married in. 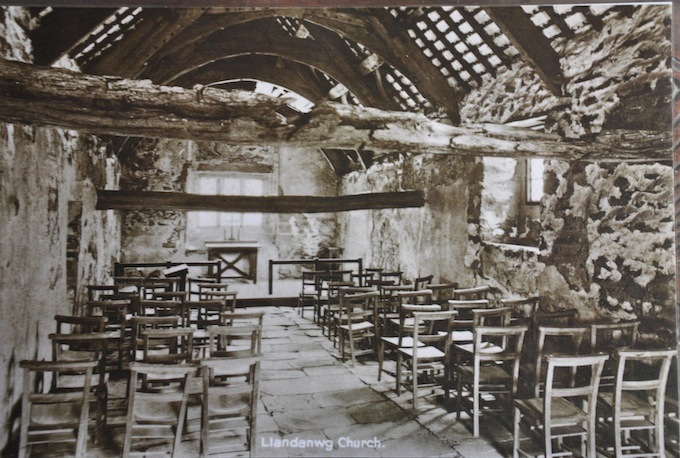 I love the old crosses and the marvellous old photo of the interior. Sounds like you’re having a great time and good weather! Looking forward to your report from Caernarfon! 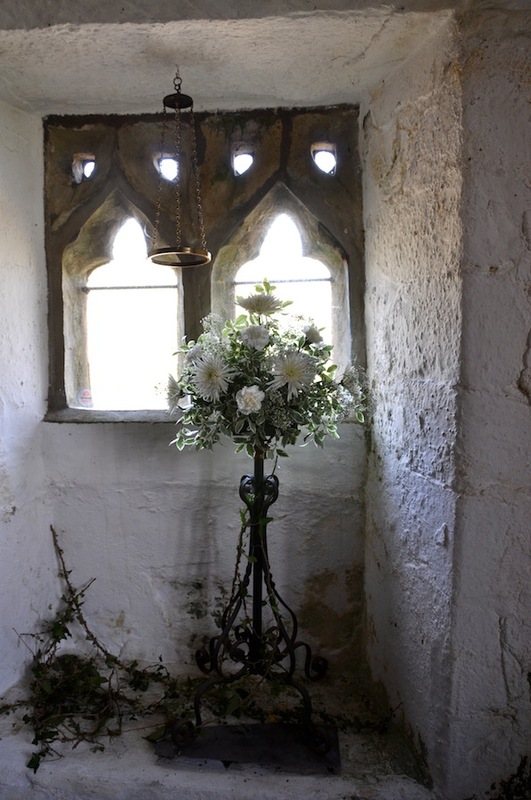 We got married in a Saxon Church which was beautiful, but I feel that this one would have been very special, it just had that wonderful feeling, can’t explain really, just overwhelming. Well we have had a heatwave and it has been wonderful 🙂 normally it rains when we come to Wales. 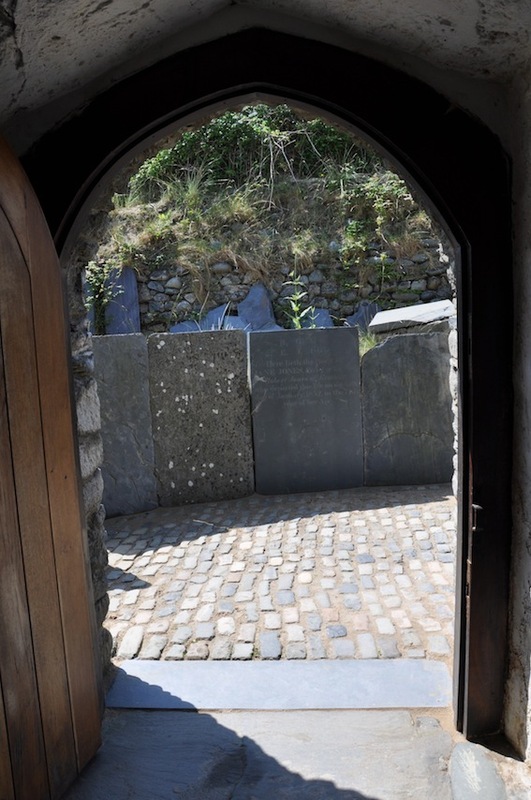 I enjoyed seeing your photos of St Tanwg’s – such a very special church.. I’ve been so close to it while on holiday in the area and wish I’d known about it!